Like two jackets in one? 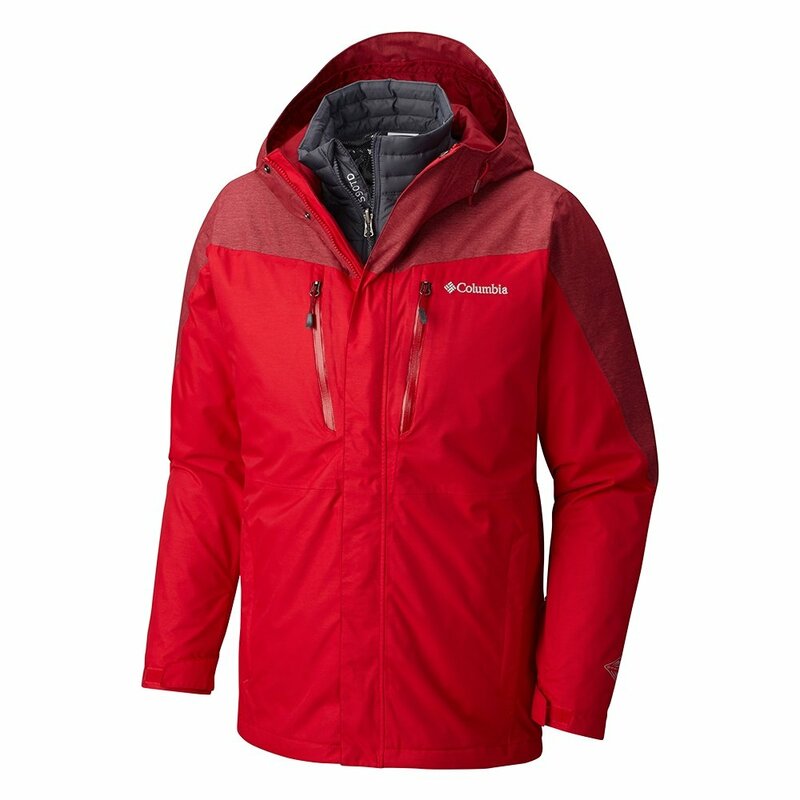 Look to the Columbia Men's Calpine Ski Jacket for a warm, weatherproof solution when tackling your favorite mountain terrain. The shell is fully seam sealed with Omni-TECH™ waterproofing to keep moisture out. The zip-in liner is packed with low-profile down insulation and treated with Omni-HEAT™, a reflective finish that helps trap body heat to keep you warm. Wear the layers together or on their own depending on conditions. More features include adjustable snow skirt, hood, and hem. Omni-HEAT™ thermal reflective lining helps prevent heat loss to keep you warm. Omni-TECH™ breathable waterproofing helps keep you dry. 550-fill power down insulation helps you stay warm. "Does the liner actually zip to the jacket to make it one unit or is the liner separate and does not zip into the jacket? " "The liner does zip into the shell jacket, making it one whole piece. The jacket can be worn 3 seperate ways. (1)All zipped together (2)outer shell only (3)internal liner only. Hope this information helps. " "Does the hood roll up into the collar to stow it when not being used?" "The attached, adjustable hood on the Columbia Calpine does NOT roll into the collar. Hope this information helps!"